Only one planet Earth exists in our solar system—a not so little-known fact. As such, it is vital that society takes part in living sustainably, in order to ensure the life of our planet for generations to come. We inhabit the Earth with many other organisms, and for all of us to survive, it is crucial that we learn about—and take part in—methods that can lead to more sustainable energy consumption. 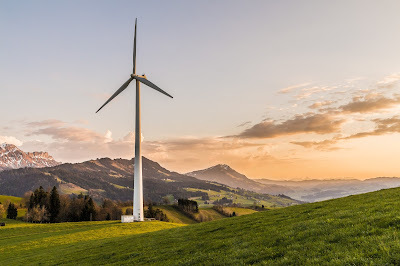 Generally speaking, sustainable energy efforts involve three primary technological changes: optimization of energy production, reduction of energy cost from the demand side, and methods of replacing fossil fuels with forms of renewable energy. From an individual’s perspective, it can sometimes be difficult to identify a way to contribute to this crisis and aid in making our energy more sustainable. However, participating can be easier than expected, and it is not overly costly to do so. Many electric companies offer means of utilizing renewable energy—often for a relatively inexpensive fee. As an example, for residents in the area of Portland, Oregon, navigating to a simple page on Portland General Electric’s website allows consumer to take part in using clean, renewable energy. At approximately $6 per month, residents can contribute to creating a more sustainable earth. We can all be a part of a greener future.